An active fundraiser for autism awareness in Ireland, Keith has worked to raise awareness for children with autism since his daughter Mia was first diagnosed with the disorder at the age of 18 months. Over €8,000,000 was generated for Irish Autism Action during Keith’s time as the organisation’s patron, through a variety of events including The Keith Duffy Ball, Tour De Force, Blue Nose Day, the Ironman 70.3, Keith Duffy 5k in Phoenix Park and the Connemarathon, to name a few.His personal fundraising initiatives include his KD golf day and KD Masquerade Ball, raising hundreds of thousands for Irish Autism Action. Keith has been fundraising for autism for 14 years and after a productive and successful 10 years with Irish Autism Action, Keith is now putting his charity and fundraising experience to good use with this new foundation, aimed at providing support and financial assistance to a number of chosen children’s charities throughout the country. Keith began his professional music career as part of Irish boy band Boyzone alongside Ronan Keating, Mikey Graham, Shane Lynch and Stephen Gately in 1993. The band decided to focus on solo projects in 2000. They had sold more than 13 million records in total by this time and all sixteen of their singles had reached the top five of the UK Singles Chart. They also became the first Irish act to have four number one hits in the United Kingdom charts. Since 2000 Keith Duffy has achieved critical acclaim for his acting roles. 2013 saw Keith, Ronan, Shane and Mikey take to the road once more to thank their fans for the incredible support and dedication they have shown over the past twenty years. 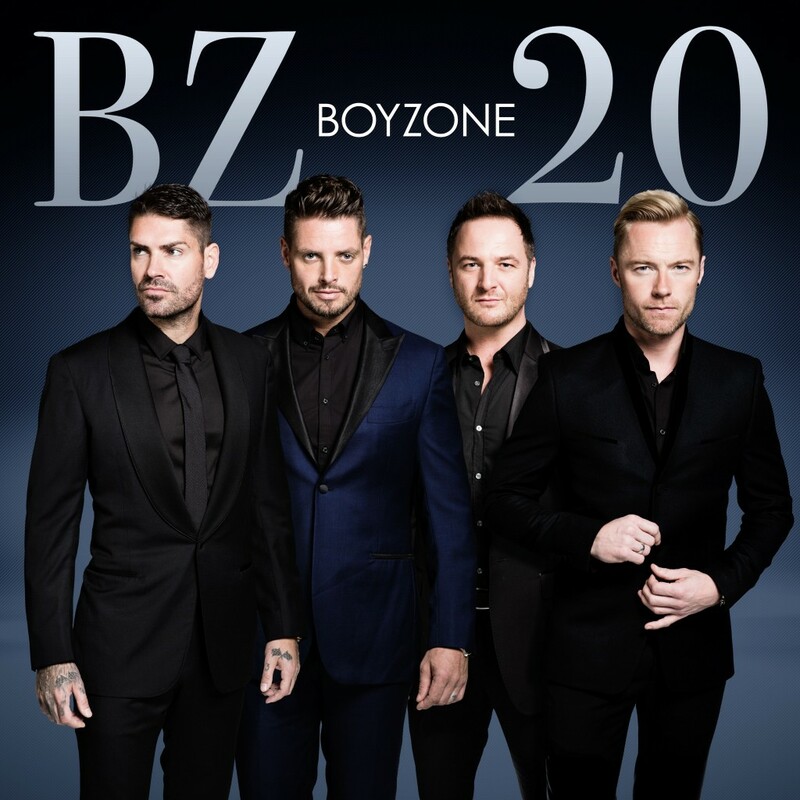 ‘Love Will Save The Day’ is the first single to be taken from their new album BZ20. Keith has presented a number of television shows, including the VH1 Fashion Awards in New York and TV3’s The Box as well as multiple appearances on shows like You’re A Star and The X Factor. In 2001, he took part in and finished in the final three of Comic Relief’s Celebrity Big brother on Channel 4. He has also appeared on shows like the Justin Lee Collins Show, The Graham Norton Show, Ant and Dec’s Saturday Takeaway, Podge and Rodge, Tubridy Tonight, The Late Late Show, Never Mind The Buzzcocks and he recently won All Star Mr and Mrs with his wife Lisa in aid of Irish Autism Action of which he is a patron. As an actor Keith is still perhaps best known for his role as Ciaran Mc Carthy in Coronation Street, but since he left the show in 2004 he has appeared as series regular Paul in three season’s of RTE’s prime-time drama, The Clinic, in the BBC comedy Be More Ethnic and as recurring character Ringo in RTE’s Fair City. Keith made his Irish theatre debut in Fiona Looney’s play Dandelions opposite Pauline Mc Flynn and Deirdre O’Kane in two sell-out runs at the Olympia Theatre and on tour. Keith most recently re-appeared as the much loved character Ciaran in Coronation Street in ITV. He has also appeared in Druid Theatre Company’s nationwide tour of John B Keane’s Big Maggie. 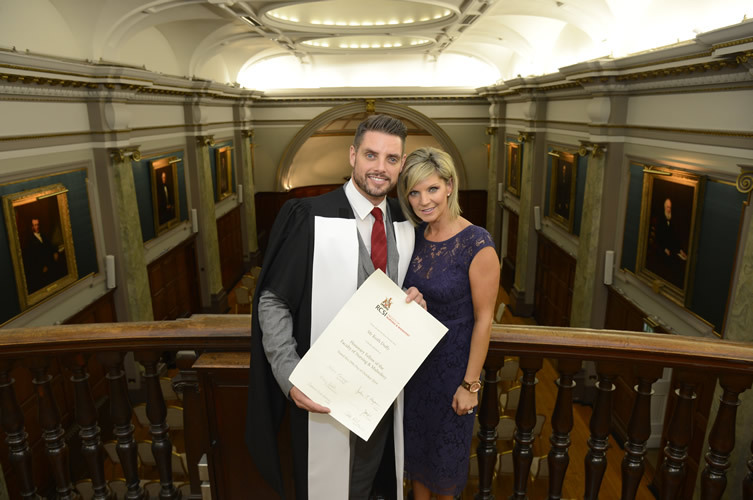 Keith Duffy, singer, actor, television and radio presenter, has been awarded as Honorary Fellowship from the RCSI (Royal College of Surgeons in Ireland) Faculty of Nursing and Midwifery, in recognition of his work as a campaigner for children with autism. The honour was conferred at a special event to mark the 40th Anniversary of the RCSI Faculty of Nursing and Midwifery. In addition to his latest honour from RCSI, his efforts have received national recognition including a Rehab People of the Year Award in 2008 and most recently the 2013 Philanthropist of the Year Award.